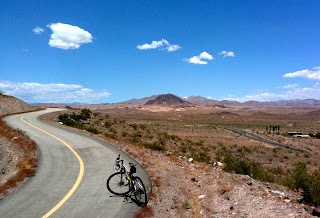 BikerBuck's 50-50: We hit the Jackpot with Lake Mead's River Mountains Loop Trail, our fourth ride in our first week. We hit the Jackpot with Lake Mead's River Mountains Loop Trail, our fourth ride in our first week. Yesterday's drive from Arroyo Grande, CA to Boulder City, NV was picturesque - quaint one might say - and took all day. We entered the Lake Mead National Recreation Area around dusk and proceeded to the Lake Mead RV Village, a delightful place overlooking the lake and just minutes from Hoover Dam. The office was closed but a host couple showed us to a site and gave us a much-needed suggestion for a 31-mile ride. It's the River Mountains Loop Trail and goes right by the RV Village. It's touted as a 35 mile paved bikeway with an elevation gain of about 2,000 feet. The bikeway is sublime and the vistas are beautiful. Our route today was actually 38 miles, owing to our curiosity about the Lake Las Vegas resort that was adjacent to our road construction - caused detour. So OK, I took the wrong trail and we got sort of lost. But at least we got a look at the resort that Brad and Betsy Jencks "babysat" for several months. At all events the ride was terrific. 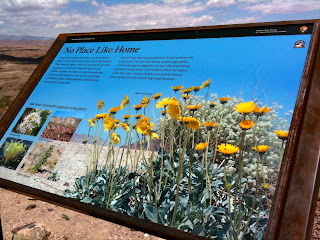 Great vistas, superb pathway, nicely adorned with colorful information posters that told of the geography, flora and fauna of the area, and a spiffy little rest area that was put in by the Water Utility. Yeah, well, there were those 8% grades on the back side that had our granny gears groaning…but nothing we couldn't handle. And get this: we did the route counter-clockwise and were rewarded with a 9-mile downhill to wrap the ride. Pure heaven. And the cool dry air took the teeth out of the 85º breeze. The signage made the ride an educational experience. The desert landscape is gorgeous against the backdrop of Lake Mead. Our RV Village is on the shoreline, left side. 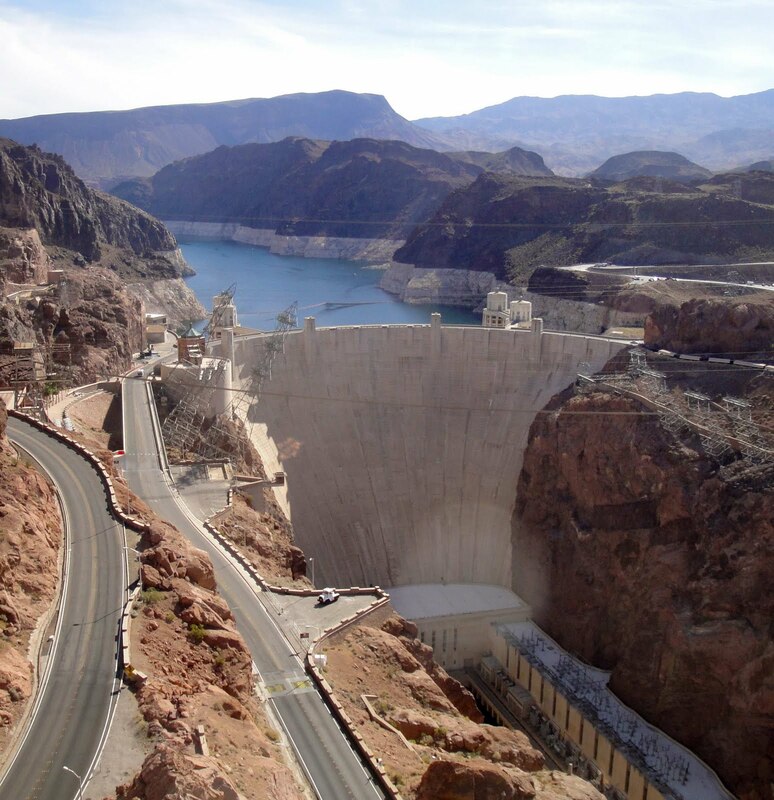 But for the remarkable Hoover Dam, no lake! We decided to stay a second night here at the Village - going out now to find big steaks and beers. Planning an early departure tomorrow for Prescott, AZ.